During the Spring of 2006, I had the pleasure of performing along with my former Pipe Major and his wife at one of the most unique and elaborate amusement parks in Asia. Known as the Tulip Festival Bagpipers, we performed for tens of thousands of mostly Asian tourists at Huis Ten Bosch located on the island of Kyushu ~ a one hour train ride from the city of Nagasaki. Words can not describe how incredible this park is ~ with its millions of fresh tulips and several miles of functioning canals, this park is an almost exact replica of a Dutch city. A unique concept, yet, it works. Towards the end of 1999, among a nation-wide search of pipers, I was awarded the honor of being hired as Tokyo Disneyland's sole Fantasyland Bagpiper. 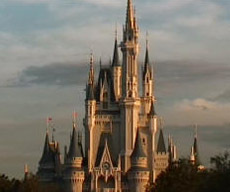 For eight months, I entertained some of the parks' millions of guests by playing an assortment of Disney tunes. It was a thrill to have worked for Tokyo Disneyland, and to have experienced life in Japan. Certainly one of the most memorable experiences of my life. 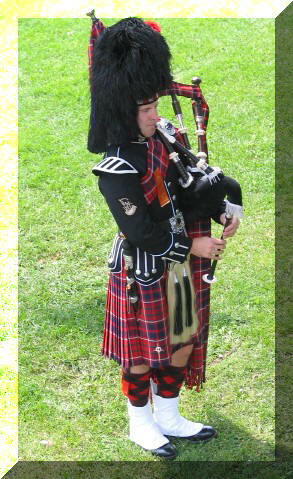 In early 1999, I was chosen to represent the province of Quebec as a member of the Canada Millennium Pipe Band. 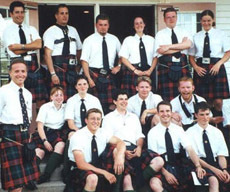 This Millennium Band was formed by the College of Piping, PEI, and was under the direction, of then acting "Sound Man" of the World Champion Simon Fraser University Pipe Band, Ian Whitelaw. Many friendships were developed through this wonderful initiative. In addition, I learnt a great deal with regard to music as I was surrounded by some of the best piping and drumming talent that Canada has to offer. 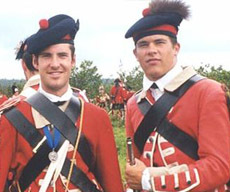 From the summer of 1995 until the fall of 1998, I enjoyed working as a Bagpiper/Re-enactor with the Olde 78th Fraser Highlanders. During the summer months, the regiment made up of students from as far away as Germany, came together and put on daily performances for the general public. After two years as a Private, I was promoted to the Rank of Corporal and also given the title and duties of Pipe Sergeant. 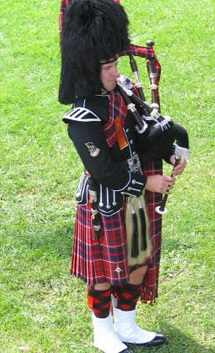 At the end of the 1997 summer season I was honored with the title of "Best Piper". 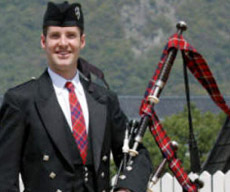 Under the command of Pipe Major Kirk Johnstone, the 306 Montreal Air Force Association Pipe Band was formed in 1997 and is one of Montreal's prominent pipe bands. Graham M. Batty, Montréal, Québec, Canada • Telephone: 514-217-5369 • Copyright © 2010 Graham M. Batty. All Rights Reserved. Site by Studio di Firenze.